You can check the eggs you buy if it is fresh by placing them in a bowl with a mixture of 2 tbsp salt dissolved in 500ml of water. If the egg sinks, it is fresh. If it floats on the surface, it is stale. 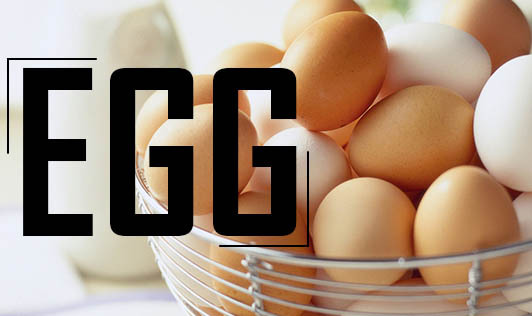 Eggs contain high quality protein and essential amino acids that helps in growth and development in children; regulate the brain, thyroid and nervous system. Improves the luster of skin, hair, nails etc due to the presence of protein and sulfur content. Vitamin A in eggs improves good vision and reduces age related macular degeneration and cataracts. It stimulates fetal brain development and function and helps to prevent birth defects due to presence of compound choline. It also strengthens the immune system. The antioxidant selenium and proteins in eggs helps to inhibit clot formation, and choline plays a role in cardio vascular health. Myth: Brown eggs are different than white. Fact: The only difference between a brown and white egg is the color of the shell, which is merely a reflection of the breed of the hen. There aren’t any differences in nutritional quality, flavor, or cooking characteristics. Myth: Egg yolk causes heart disease and increases cholesterol levels. Fact: Regular egg yolk consumption in people with heart ailments leads to little or no change in cholesterol. LDL cholesterol is divided into several types Researchers found adding up to three eggs per day does raise some types of LDL cholesterol, however, it did not significantly raise levels of the types of LDL known to clog arteries. • Whole or separated eggs add flavor and nutritional value. They are used in preparation of sauces, cakes, puddings, pastas etc. • It can be used as coating agent to hold the crumb mixture to the food when heated during the cooking process. Example: in preparation of fried foods like pakoras, vegetable rolls spring rolls etc. • Eggs can be used as binding agents in making pastries, pakoras etc. • Eggs can be used as thickener in soups and custards.. So, enjoy eggs in moderation. Boil them, poach them, scramble them or make veggie-filled omelets.